Rendering of Urban Market at 7SEVENTY7. Rendering courtesy of Maurer’s Foods. MILWAUKEE, Wis. – Madison-based Maurer’s Foods today announced that Urban Market – a full-service supermarket emphasizing fresh, responsibly sourced products and serving residents, workers and businesses in downtown’s East Town neighborhood – will open on the ground floor of Northwestern Mutual’s new 7SEVENTY7 apartment tower early next year. The 10,500-square-foot supermarket, Maurer’s first location in metro Milwaukee, will offer a full grocery selection, with the freshest produce, a wide selection of meats and seafood, an in-house bakery, a fresh deli and sushi bar, a large dairy and cheese assortment, frozen foods and other snacks and staples. 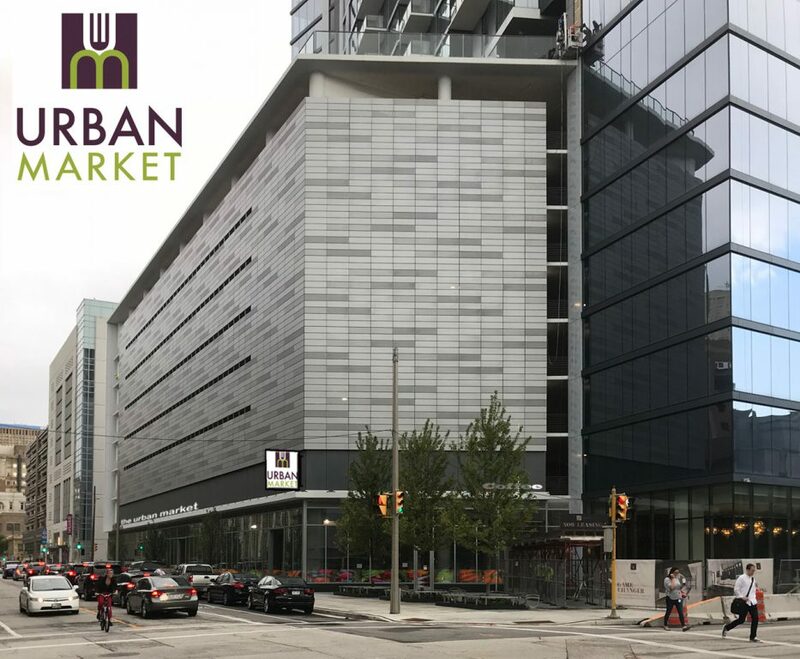 Urban Market will also feature chef-prepared meals, including grab-and-go and ready-to-heat options. The store will have in-store and outside patio seating, plentiful and convenient free parking, catering services and online ordering for pick-up and delivery. Jeff Maurer, owner of Maurer’s Foods and Urban Market, said the 7SEVENTY7 store will be modeled after the company’s Fresh Madison Market store near the University of Wisconsin campus. The leasing deal was brokered by CBRE. Mehmert Store Services of Pewaukee will design the grocery space, which is scheduled to open in early 2019. 7SEVENTY7, Milwaukee’s newest luxury apartment tower, opened to residents earlier this summer and – in record time – has reached more than 50 percent leased to date. Jeff Maurer, who owns Maurer’s Foods and Urban Market with his daughter, Kristie, developed the “fresh city market” concept in 2008. The family-owned company’s focus is on smaller, full-service grocery stores that meet the unique needs of residents, workers and students in urban and campus markets, with fresh, nutritious and high-quality groceries that are competitively priced and geared toward a diverse clientele. Maurer’s currently co-owns Fresh Madison Market near the University of Wisconsin in Madison. 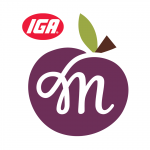 Additionally, Maurer’s owns Maurer’s Market IGA stores in Wisconsin Dells and Janesville. More information is available at www.maurersmarket.com. 7SEVENTY7 is a 35-story, luxury apartment tower located at 777 N. Van Buren St. in downtown Milwaukee. 7SEVENTY7 offers 310 stylish apartments, including 14 penthouses. Apartments feature floor-to-ceiling windows, hardwood floors, smart thermostats, custom closet systems, black-out bedroom blinds, modern Whirlpool appliances, gas slide-in ranges, quartz countertops, under-cabinet lighting, adjustable lighted-frame bathroom mirrors and more. Floor plans maximize views, and many apartments have outdoor balconies with views of downtown and Lake Michigan. The building’s 9th and 35th floors are dedicated entirely to amenities. In addition to a bike shop, complimentary bike storage room, pet spa and heated parking, the building offers a golf simulator, outdoor saltwater pool and terrace, fitness center and fitness studio, dog run, indoor and outdoor fireplaces, five grilling stations, a sports lounge, Wi-Fi cubes and other special features. Residents enjoy top-of-the-market luxury services, including a 24-hour resident experience team, a neighborhood perks program, valet dry cleaning, away-from-home services, resident events and more. Additional information can be found at www.live7SEVENTY7.com, and on Facebook and Instagram. 7SEVENTY7 is owned by Northwestern Mutual and managed by The Bozzuto Group, the No. 1-rated Management Company in the nation.